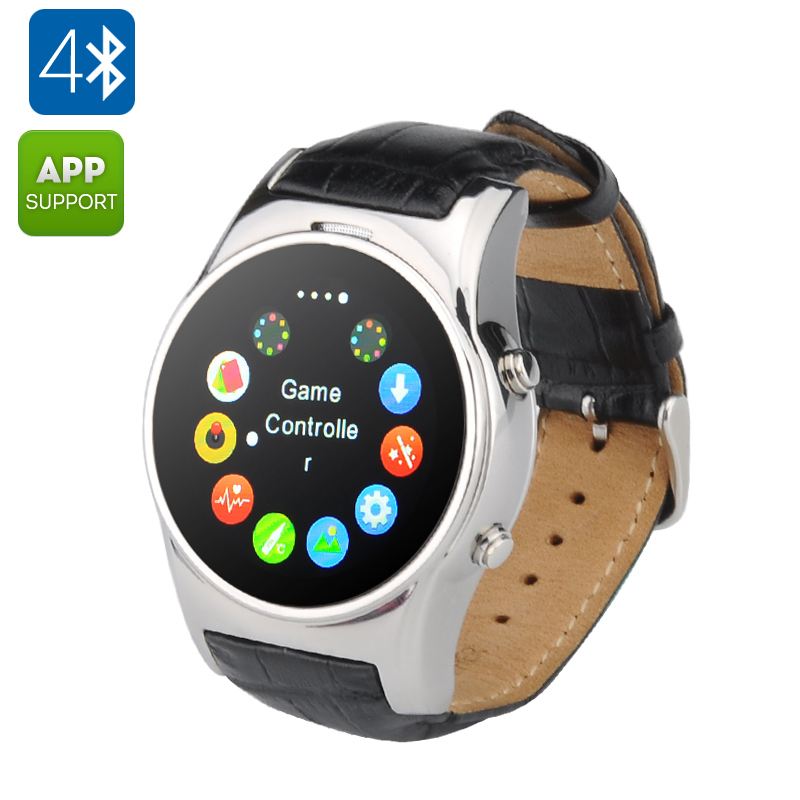 Successfully Added GSM Smart Watch Phone - Bluetooth 4.0, 1.3 Inch Display, Pedometer, Remote Camera, Heart Rate Monitor, Sleep Monitor (Silver) to your Shopping Cart. This GSM smartwatch will let you make and receive calls right on your wrist and keep you on track with your fitness thanks to the pedometer, heart rate monitor, sleep monitor and more! The GSM smartwatch will offer you lots of convenience and flexibility on the go, as it can be a secondary phone and let you make and receive calls right on your wrist. With quad band network coverage, you will always stay connected. Alternatively, you can also sync the watch with your smartphone to get instant updates and notifications on the go. You can also use the watch as remote camera trigger and music player.The smartwatch is compatible with both iOS and Android, when used with iOS 7+, you can even use Siri for voice control. In today’s rush and a whirl of meetings and busy schedules, it’s important to keep your priorities straight and not forget about staying healthy. The sports smartwatch will be your helpful buddy to motivate you and track your sports progress. The watch comes with a pedometer, heart rate monitor, sleep monitor and sedentary reminder. With a 350mAh battery, you will have up to 4 hours of continuous use time and 72 hours on standby. Featuring a 1.3 inch round display, the watch sports a classic look and is a stylish accessory for any occasion.